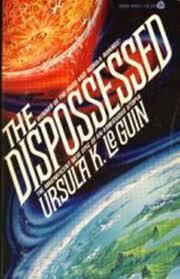 The Dispossessed by Ursula LeGuin Research Paper is an exploration into a utopian society. Research Papers by Ursula LeGuin is an exploration into a utopian society. Research papers on science fiction stories can be ordered from Paper Masters. The Dispossessed by Ursula K. LeGuin is a brilliant exploration into a utopian society that is founded upon anarchism, meaning, an ordered society without laws. LeGuin’s utopian society is not one of idealism but rather creates a “what if” utopia that falls short of its greatest aspirations. LaGuin sets up the inhabitants of Anarres to more aptly illustrate the flaws within our own society rather than to write of how a utopia can be achieved. By illustrating the flaws of Anarres, the ideals that LaGuin strove for became vividly evident. Shevek on Urras and witnessing the flaws of capitalism and democracy that provide the insight and meaning to The Dispossessed. It was LaGuin’s intent to present a picture of how an anarchist society could exist. Apparently, the result of anarchy is what closely resembles a communist or socialist society. For example how work was viewed on Anarres provides a mirror into their entire way of life. Shevek worked as a result of a farm draft. When a problem or project occurred that the planet did not have adequate number of workers for, there was a draft, much like the war drafts Americans are familiar with. If the work did not get finished, the citizens would suffer and the planet would be in jeopardy. Thus the motivator for work was to accomplish what was for the good of the planet. Summing up the philosophy of employment on Anarres LeGuin writes in an almost mocking manner of the current capital driven, American way of work. The human/computer network of files in Divlab was set up with admirable efficiency. It did not take the clerk five minutes to get the desired information sorted out from the enormous, continual input and outgo of information concerning every job being done, every position wanted, every workman needed, and the priorities of each of the general economy of the worldwide society. English Utopia Fiction Research Papers delve into an example of how to order a literature paper for undergraduates. Paper Masters writes custom research papers on The Dispossessed by Ursula LeGuin and examines the exploration into a utopian society.